Daniel Tokar is well known in the historical Gaelic harp world, as a superb artist and craftsman who has made some of the best quality metal harp fittings I have ever seen. Daniel made the silver studs on my Queen Mary harp replica. 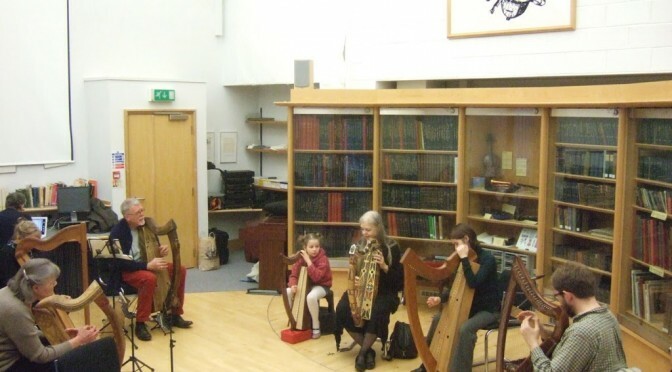 He also has done a lot of work on making historical metal wire harp strings, the results of which are written up in his book Dialogue on Historical Wire for Gaelic Harps (with Ann Heymann). 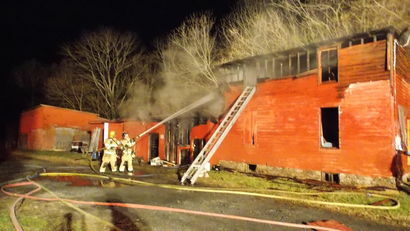 2 weeks ago Daniel’s workshop was burned down and his tools and materials were seriously damaged. This is a bad time for him – of course before Christmas he was working hard on many orders. Now he has to spend a few months rebuilding the workshop instead of pressing ahead with his work. Photo on the right from The Journal. Daniel’s website is http://www.willowforge.com/ – there are contact details there if you can help him in any way. 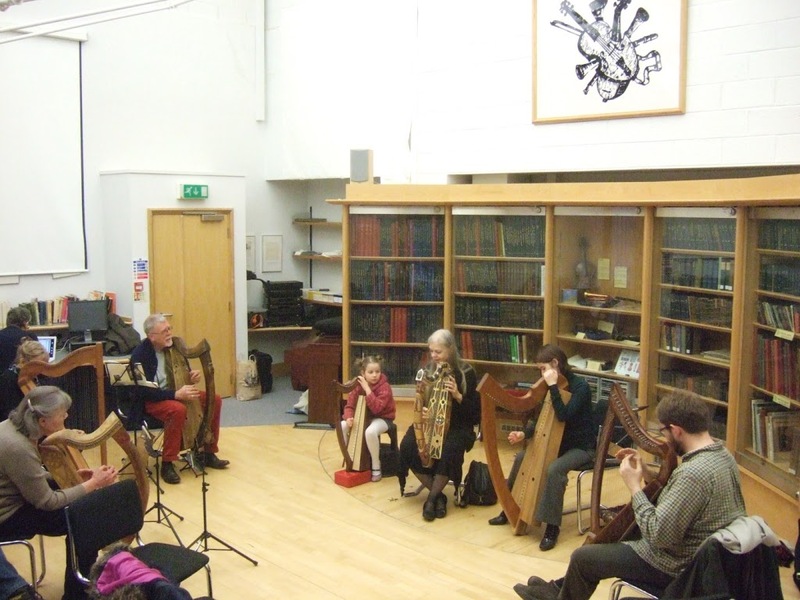 Ann Heymann was in Scotland this past week, at the end of her successful 3-month visiting fellowship at the National University of Ireland, Galway. 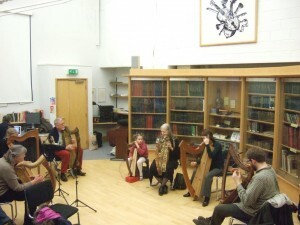 I went into Edinburgh on Thursday for the seminar presented by Ann and Charlie which aimed to summarise and present their Galway work on combining medieval syllabic poetry performance with harp accompaniment. On Saturday they were in Dundee. The duo performed the morning cappuccino concert for the Friends of Wighton. 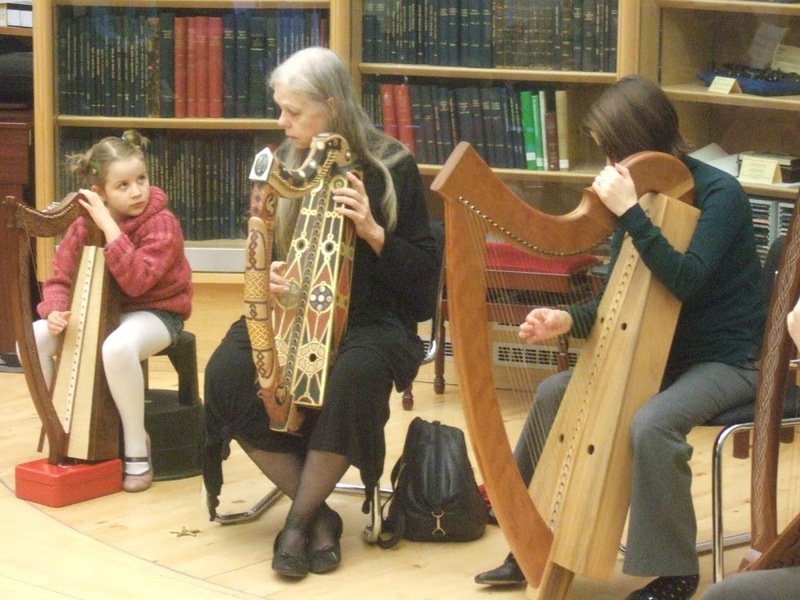 Then in the afternoon Ann led the usual weekly harp class in the Wighton Centre. It was a nice change for me to be able to sit at the back watching! 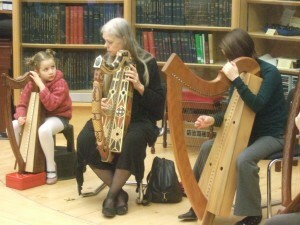 These photos are from the harp class. Numbers were down due to some regulars being either ill or travelling.